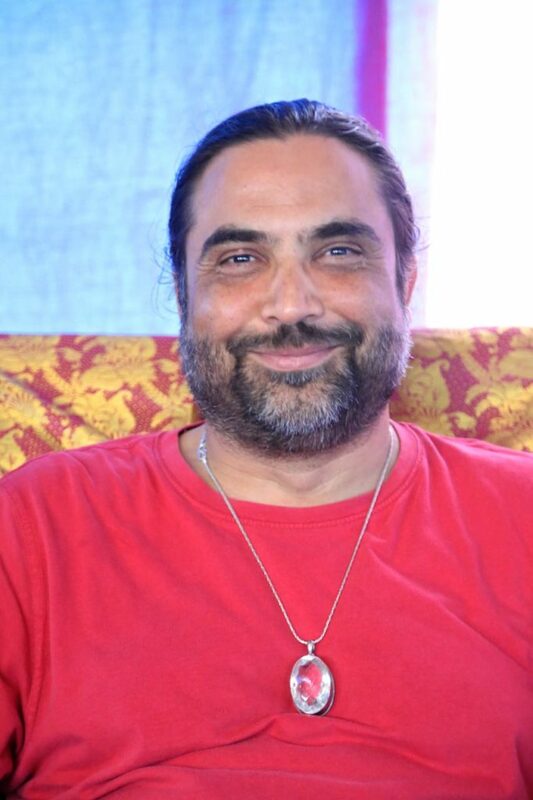 Shanti Mark R. Koppikar is a spiritual teacher of German-Indian origin. Having a Master‘s Degree in Psychology, Shanti is an Advaita-Teacher, Christian-Hindu Mystic and Healer. Shanti was born and raised in Germany – his father Indian, his mother German. His Indian descent is of the Chitrapur Saraswat Brahmans, an ancient spiritual caste in India. He began his spiritual search at a very early age and was introduced to the mystical Christian tradition by his grandfather. Since his youth was Shanti searching for ways to experience God in Christianity, Hinduism and Buddhism. In 1997 Shanti was initiated into Central American Shamanism which had a deep transformative effect. From that moment on he began, as he puts it, “living in reality”, practicing as a Shamanic Healer for several years thereafter. When he met the Advaita-teacher Gangaji in 1998, his awakening deepened so profoundly that his spiritual search came to an end. Since his transformation in 1997, Shanti has been giving Satsang in many parts of the world, being of service to people in their search for the True Self. He is the founder and mentor of the training programme The 9 Steps and has established the Centre for Holistic Psychology in Rosenheim (Germany).